Sunday: April 3, 2011: The Legendary Marsiya Khwan and great Momina , Mrs Abida Khatoon passed away in the early morning hours of the sunday morning at her residence in Gowali Sadaat. 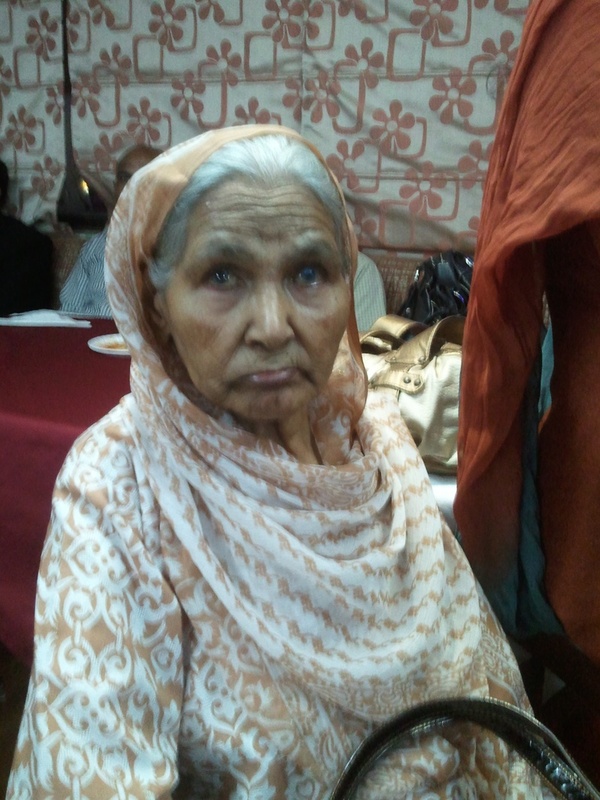 Mrs Abida Khatoon was 87 years old at the time of her death. She was a very well known Mariya Khwan and was regarded as a respectable momina of all times. The death took place because of the Heart Failure. She was survived by 2 daughters and 3 sons. Her TEEJA was observed with solidarity and gratitude on April 5 2011 at the Imam Bargah Mansub Daraan Gowali Sadaat. The gents majalis was presided over by Janaab Zaigham Sahab Qibla of Naugawan Sadaat. Her Chelum will take place on 8th May 2011 at Gowali Sadaat. Over 1000 guests came from all over to pay the tribute to this great Lady. Please recite Fatihah to Mrs Abida Khatoon Binte Farzand Hasan.